Universal protein containing composition in fast fractions and long-absorbable egg whites and casein. Refined taste and zero solubility problems. Protein supplement for use both during the day and at bedtime! The addition of L-glutamine! 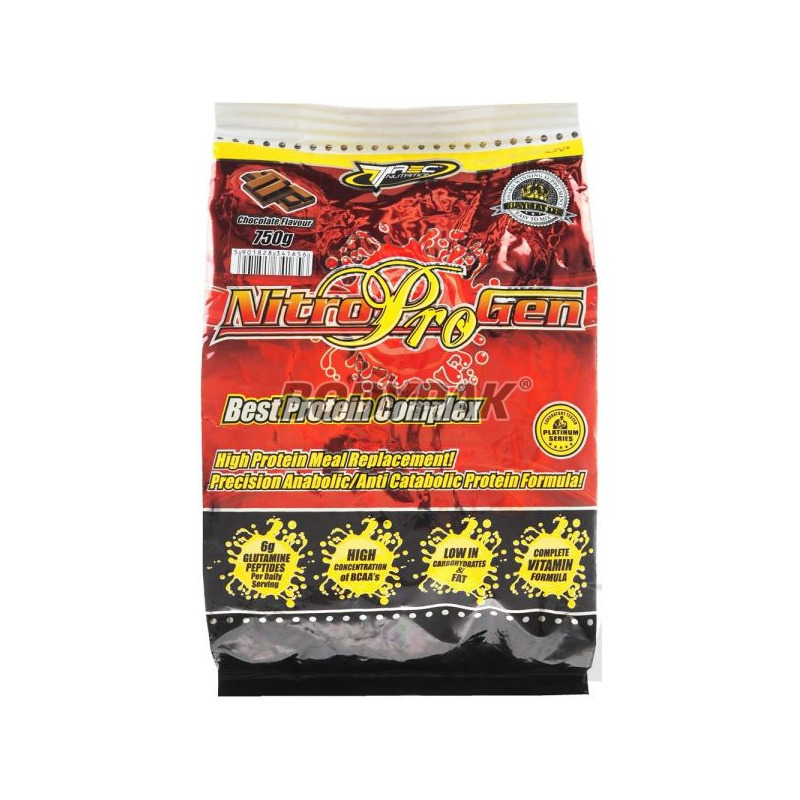 TREC NITROPROGEN is a universal high protein supplement containing the best proteins with an anabolic and anti-catabolic. Quickly absorbable concentrate and whey protein hydrolyzate provides immediate supply of the most important amino acids intensifying protein synthesis. Wolnowchłanialne egg proteins and casein allow you to maintain the high intensity of this process and protect the muscles from catabolism for many hours. TREC NITROPROGEN supplemented with a large dose of glutamine peptide, which increases its anti-catabolic and anabolic effect. By using the TREC NITROPROGEN long-acting proteins such as egg protein and casein are guaranteed hours of protection against the adverse muscle, destructive catabolic reactions. The product has been further enriched with glutamine (taking the form of the best assimilable l-glutamine peptide), which is the most important amino acid for building muscles. Glutamine shows a strong activity of increasing the secretion of natural growth hormone (GH), which speeds up recuperation during sleep. 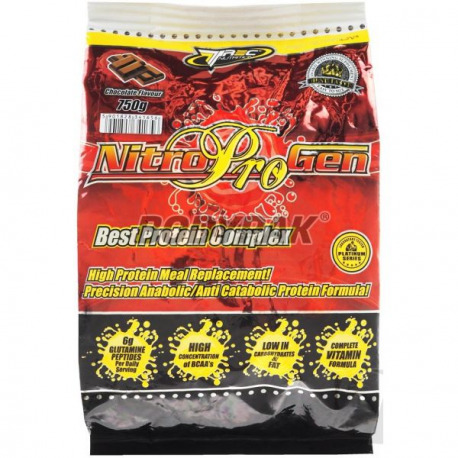 TREC NITROPROGEN is a premix of proteins, which is suitable for use both after working as a replacement for meals throughout the day, as well as a very good protein meal before bedtime. IF YOUR GOAL IS BUILDING lean body mass TO TREC NITROPROGEN it IS FOR YOU PERFECT CHOICE! The serving of the product - 40 g (2 scoops) in 200 ml of water or milk, using a shaker or blender. Depending on your needs, take 2-3 servings daily. High-protein cocktail made exclusively with high quality concentrate, isolate and whey protein hydrolyzate obtained by microfiltration! Amazing taste sensations will make you enjoy every portion!